I went to see Michael Moore’s new movie, Sicko, this morning and, as is my wont, I brought along some knitting to do. Yes, I knit. At the movies. In the dark. Yes. All the time. Anyone else knit at the movies? People are usually pretty incredulous when I tell them, but I know I can’t be the only one. 1. 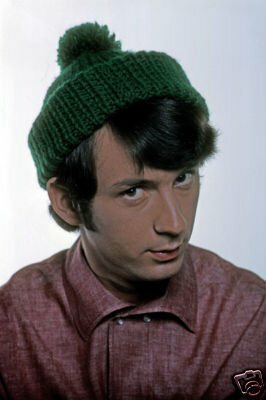 He was the tall guy in the Monkees who wore the green wool hat. 2. 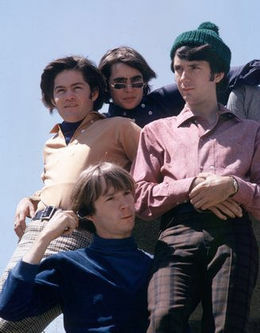 He had a reputation for being the “serious” Monkee, the one with real musical talent and training. 3. His mother invented Liquid Paper. I always suspected that the third factoid was a little suspicious, of the “Mikey died from eating Pop Rocks and Pepsi” variety of celebrity stories. But it turns out to be true! As a semi-professional knitter who has learned the hard way the importance of gauge swatches, I had already done two (in stockinette and 1-by-1 rib stitch) and so it was just a matter of figuring out the right number of stitches and making sure that number was divisible by four so I could have four decreases at the top. I used good ol’ Debbie Bliss Cashmerino Aran in color #300506 (a beautiful forest green) and knitted with two strands held together on size 11 needles. 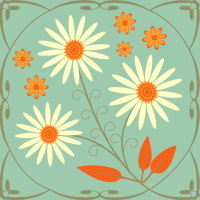 When I finish, I’ll include the pattern with my free patterns, so all you Monkees fans can enjoy. Wear your hats proudly in public even though you get the funniest looks from everyone you meet. And, please, send me your photos! Update 07/29/07: my free pattern for the Michael Nesmith hat is now available here. Please give Mike a great rating at SoWeSay.com!! !